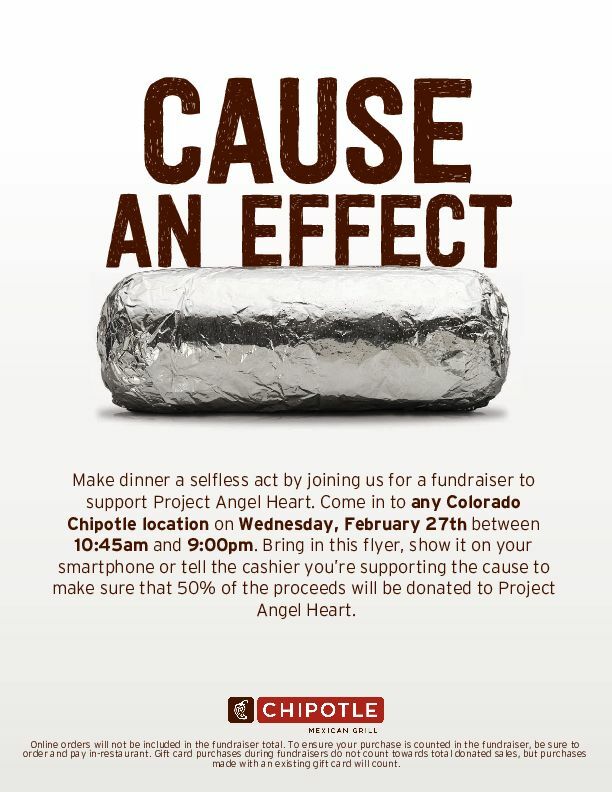 Dine at any Chipotle restaurant in Colorado on Wednesday, February 27, tell the cashier you’re there for the fundraiser (or show them the flier below), and 50% of proceeds will be donated to Project Angel Heart! Online orders will not be included in the fundraiser total. To ensure your purchase is counted in the fundraiser, be sure to order and pay in-restaurant and show this flier or mention the event. Gift card purchases during fundraisers do not count towards total donated sales, but purchases made with an existing gift card will count.